The perfect introduction to all the main islands of the Outer Hebrides! This relaxed holiday offers unrivalled variety, from wonderful Lewis beaches to the remote glens of Harris, the stunning flowering machair of the Uists and the unique charm of the smaller Hebridean islands of Eriskay, Barra and Vatersay. The ideal holiday if you love Scottish islands - visit 10 islands in 6 days and walk some of the finest routes in Scotland! ​Price: £990. Single supplement £120. The perfect holiday for those wishing to get a taste of walking on all the main islands of the Outer Hebrides. We will be travelling at a relaxed pace, with a mixture of longer and shorter days. As well as enjoying great walks, depending on the weather and the wishes of the group, we may take time to go looking for some of the fabulous wildlife the islands have to offer (the Uists, for example, are the best place in Britain for the elusive corncrakes). If people are interested, we may also visit some of the great archaeology to be found on the islands. An outline itinerary for the holiday is given below. However, this will be kept flexible, as the weather may dictate changes. We can also amend the itinerary to take into account personal preferences of clients. You can start this holiday from either Stornoway or Tarbert. If you choose to take the ferry from Ullapool, you will arrive in Stornoway at approximately 8.30pm. You will be met from the ferry terminal, if wished, and taken to the comfortable guest house where you will be based for the first two nights of the holiday. If you choose to take the ferry from Uig in Skye to Tarbert in Harris, you will need to drive or take the connecting bus to Stornoway, which takes about an hour. Arrival times by plane vary, but if you choose this option you will be met at Stornoway airport and taken to your guest house. Packing an astonishing amount into a small area, this walk takes us along airy cliff tops, complete with sea stacks and rock arches, before visiting one of Lewis’s finest beaches. 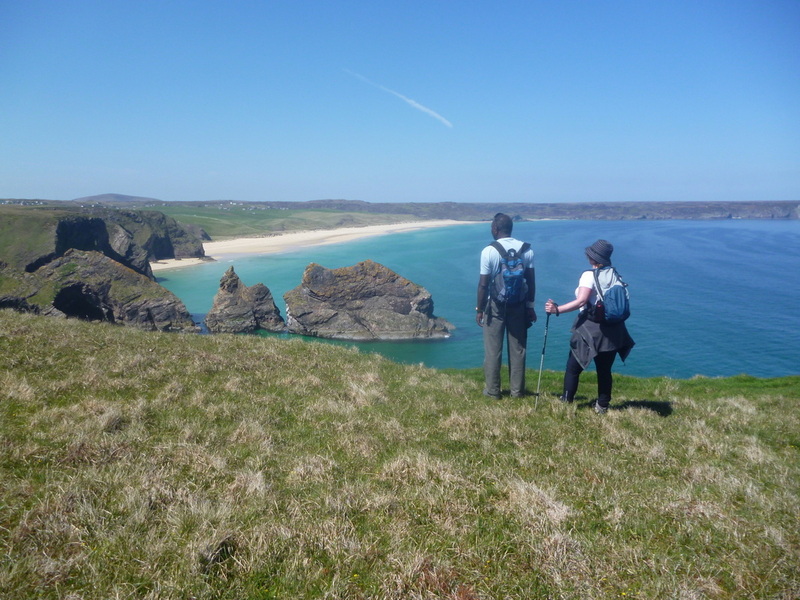 Making a good claim to be the finest walk on Lewis, this route combines stunning coastal scenery with wonderful wildlife - great skuas, arctic terns, grey seals and numerous seabirds are frequently seen. This wonderful and varied low level hike is one of the best in Scotland. Starting at the beautiful machair of Huisinish, we will visit the stunning beach of Traigh Mheillin, which provides unparalleled views out to the nearby island of Scarp. From here we will explore the beautiful Glen Cravadale, before returning back to our start point. After the walk we will drive to Leverburgh and take the ferry to Berneray. This takes an hour and on a fine day must be rank as one of the most beautiful ferry journeys in the world! The night will be spent in a guest house in North Uist. Tuesday night will be spent in a Uist guest house. An easy day today, starting with a gentle walk through the low lying machair grassland on the west coast of South Uist. In early summer the fields here are full of birdlife, with the calls of redshank, lapwing, curlew and dunlin filling the air. Later in the summer, the machair bursts into a carpet of flowers for as far as the eye can see. We will then stop at the gently atmospheric Howmore, with its thatched cottages, archaeological remains and old stone walls one of the most beautiful of all the Hebridean villages. Leaving South Uist we will cross by causeway to Eriskay, where we will take a short walk around this attractive island, before visiting the beach where Bonnie Prince Charlie first landed in Scotland during the Jacobite uprising. The day will end with an evening crossing to Barra, where we will stay the night. 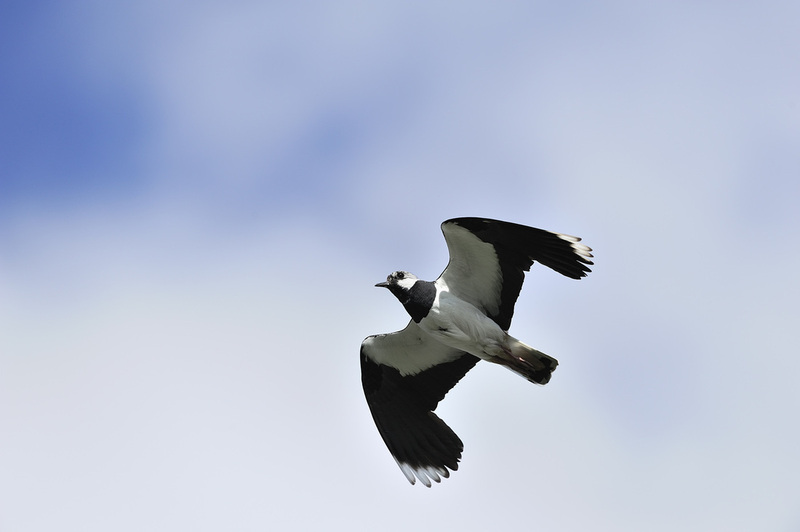 Our final day's walking will be spent exploring the southern islands of the Outer Hebrides. Barra has a strong sense of island community, and packs a lot into a small area. We will start the day with a walk around the peninsula of Eoligarry, at the north end of Barra. As well as its great machair and abundance of corncrakes and fine coastal scenery, this is also the location of the island's unique airport - the only place in Britain where scheduled passenger planes land and take off on the beach. Even if you are utterly disinterested in aviation this is quite a sight, so we will try and time things to watch a landing or departure - though as these are dependent on the tides we may or may not be lucky! 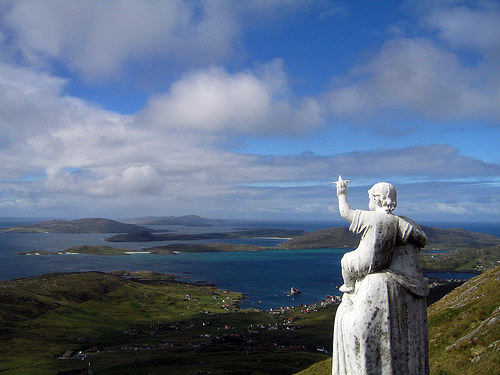 The afternoon will be spent at the other end of the island, discovering the amazing island of Vatersay. Connected these days to Barra by a small causeway, Vatersay has a fascinating history and this walk will take in an iron age fort and some stunning beaches. We will spend a second night on Barra, which will allow opportunities for additional evening rambles. There are various ways to head home at the end of this holiday. If you wish, you can join us as we drive back to Stornoway - if you choose this option you will need to spend the night in Stornoway before catching the ferry back to Ullapool the next day. Taking the ferry from Barra or Lochboisdale in South Uist to Oban. Taking the ferry from Lochmaddy in North Uist or Tarbert in Harris to Uig in Skye. Flying to Glasgow from Barra or Benbecula. We will do whatever we can to help you with any of these options, but please note that some will require you to stay an additional night or wait a number of hours at ferry terminals or airports. Grade: Easy / Moderate. These holidays go at a gentle pace, with plenty of time to stop, take pictures, soak up the atmosphere and watch the wildlife. However, they are still walking holidays, so you will need to be able to cope with a reasonable amount of hiking each day. As a guide, you should be able to manage small uphill sections, be comfortable walking for 4 - 5 hours and 6 - 7 miles or so each day, and be confident walking away from paths - for example across rough grassy hillsides. We try to keep to easy ground and defined paths as much as possible on these walks, but there will be some areas where the going can be a little rough and quite wet underfoot, so good hiking boots are essential. We don't tackle any hills on these walks but there are usually some modest uphill sections on some days. Cost: £945 - guest house (inc. breakfast, packed lunch and evening meal). Please note that prices based on two people sharing a twin or double room. For single travellers there is a supplement of £120 to cover the additional costs of single occupancy rooms. What's Included: 6 or 7 nights accommodation (optional final night in Stornoway), 5 days walking. Full board at local quality guest houses, with full Scottish Breakfast, packed lunches and home cooked evening meals (evening meals are not included for the optional final night in Stornoway - you are free to choose from the wide range of restaurants the town has to offer). All transport during the holiday, including ferries between Harris and Berneray and Eriskay and Barra. The services of an experienced walk leader. What's Not Included: Transport to and from Stornoway, including ferry fares. Travel can be arranged for you and will be charged at cost price. (We prefer to let people choose their own way to get to the islands, to maximise people's choice of how to travel. However, whether you prefer to bring your own car, to catch the bus or take a flight, we can help arrange your travel for you). Note: if you do not require accommodation for the final night, you may subtract £50 from the cost of this holiday.